With the Christmas holiday season in full swing and Christmas only days away, holiday relationship stress is often at an all-time high. This can often result in tension, conflict, the opening of old arguments and sometimes relationship breakdown. In this short survival guide, I will give you some tips that I think will help you reduce your Christmas and holiday relationship stress. Accept that holidays are designed to be stressful. By their very design, holidays can be stressful events and often the first place for stress to up show is your relationships. In my relationship counselling practice, the lead up to December is my busiest time of the year as relationships come under strain and couples experience an increase in fighting or singles worry about spending time with their close family members. I’m often amazed at the horror stories I hear about dysfunctional families and all the issues that are raised with the annual get-togethers. Accepting that holidays are times of stress can actually help you keep your reactions in perspective as well as prepare for possible problems. While this is no quick solution, it can be an effective way of preparing yourself for the inevitable stress that is coming your way. And when we are prepared, we often respond in more effective ways. Be prepared for holiday relationship stress. So just like the boy scout mantra, it can be very helpful to be prepared for holiday relationship stress. What this means is give some forward thought to where you think relationship stress might arise rather than hoping for the best at the time. which in-laws do you not get on with? where and when have you experienced holiday relationship stress before? what are the triggers for you that cause you to feel stressed in the holidays? what happens in your intimate relationship that causes you stress? how do you respond in your relationships when you are stressed? 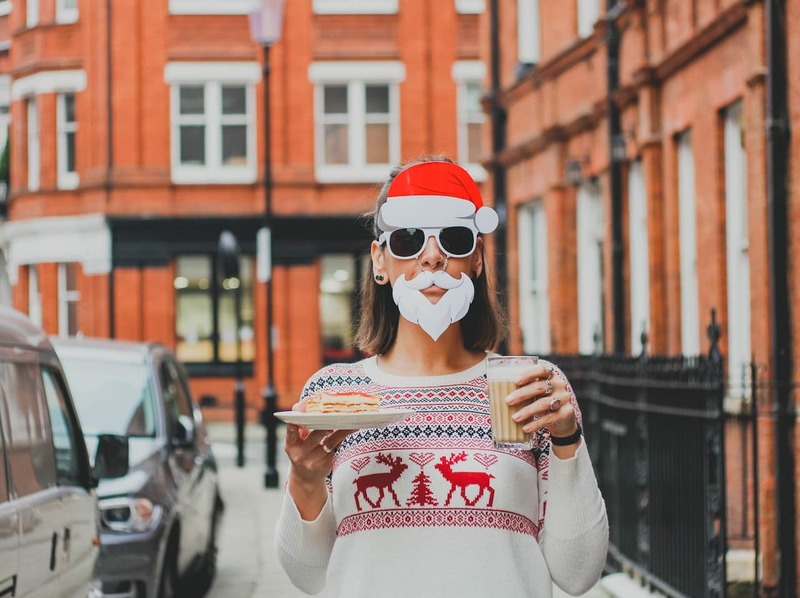 By considering where holiday relationship stress might show up, you can be aware before the stress arises and implement an action plan to respond differently and avoid relationship ruin. This also allow you to build contingency plans, so that you can remove yourself from situations that may inflame relationships that have been difficult in the past. Once you start to identify what and where potential problems will arise, you can then formulate an action plan. An action plan is something that you instigate when you notice your familiar stress response. You then move into action by doing something you don’t usually do. Having a different response to your relationship stress allows you to have a positive outcome. For example, perhaps you know that in the past you have found yourself feeling irritated or angry with your in-laws on Christmas Day. You know that the holiday season, combined with spending time with extended family has the potential to repeat itself and cause you stress. Your action plan might be take a walk and have some alone time once you recognise the trigger of irritation with your in-laws. This space can then let you come back into the family with a refreshed attitude and less reactivity. The potential for tension and conflict with your relatives is reduced and everyone can have a pleasant holiday together. Know that families bring out the best and the worst. It is a myth that all families are happy. This is important to remember. Families can be a wonderful place of support, love, protection and encouragement. On the flip side, they can also be sources of frustration, irritation, judgement, criticism, denigration and lack of support. If you live a distance away from your family, it’s easy to forget the pull that many people experience when they spend holiday time with their family. This pull is a dynamic that you may experience as pressure to be a certain way. Growing up in our families we relate in certain ways that become familiar and consistent over time. These roles we take on are often adaptations to help us as we navigate our way through life. For example, if you were passive and compliant in your family growing up, your family may expect you to not speak up, object or have requests. You may find it very difficult to speak up or have a voice in your family, even as an adult. The ongoing challenge as an adult is differentiate yourself from your family. This requires you to continue to work on stepping out of the roles you have taken on in your family. This pull can be a source of holiday relationship stress and one to watch out for. Use your awareness to notice these family dynamics. You may or may not be able to step out of the roles you inhabit in your family, but you can certainly choose not to react and create greater stress for yourself and your relationships. Set clear and healthy limits in your relationships. Setting limits for yourself and your relationships can make an enormous difference in reducing your holiday relationship stress. In practical terms of reducing your holiday relationship stress, you need to consider your own needs and what’s important to you for the holiday season. When you are clear about your own needs it’s easier to set limits with others. If you’re vague, unclear or ambivalent it is easy for you to find yourself in a scenario where you will experience holiday relationship stress. You may be someone who needs some alone time or perhaps you need some relationship time with your partner. If this is the case, keep this in mind as you are negotiating with family how long you will be spending time together. If you are clear within yourself, you will find it much easier to let others know what you want and create a happy holiday outcome. Keep your relationships in perspective. It’s important to remember that a large part of holiday relationship stress is contextual. This means there are unique circumstances to the holiday season that are not present at other times of the year. We often find ourselves spending time with relatives that otherwise we won’t see from year to year. These may be people that you wouldn’t choose to spend time with, however, the nature of the holidays brings you all together. Add into that mix too much eating, drinking and general partying, and it can be a volatile cocktail waiting to explode! Bringing conflict into the open and working through differences is a strategy that is the foundation of all healthy relationships. However, due to the unique context of the holidays, the best strategy may be to not ‘rock the boat’ if you believe that the working through of the conflict may not be possible. Keeping this in perspective can help you walk away from potential conflict or disagreements. Take time-out to refresh and recharge your relationships. One of the best strategies for reducing holiday relationship stress is to have a plan to take time-out. Notice when you’re feeling stress and use this as an indicator that you need to remove yourself from the stressful situation to regroup. Taking time-out is a simple, but powerful strategy for regulating your emotions. It will often help you avoid an unpleasant interaction that may be difficult to recover from and spoil your holiday time. What do you do to reduce your holiday relationship stress? If you need relationship help, contact Clinton Power + Associates now on 02 8968 9323 for a FREE 15-minute phone inquiry call to discuss your situation and find out how we can help.